Modeling Jobs>Hair Modeling Jobs>Hair Expo 2019 Models & Dancers needed! Hair Expo 2019 Models & Dancers needed! 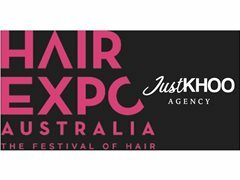 JustKHOO Agency is starting to cast for HAIR EXPO 2019 and we are look for a lot of MODELS for the hair shows coming up between June 8th-10th. Please find below roles that we would love for you to assess and APPLY accordingly. Must have flexible availability between June 8th-10th and the week prior for any hair prep that needs to occur. We are looking for gorgeous, tall female models who have healthy hair that is medium to long length. Any colour is fine but must be in good condition. We are looking for females who are open to a change in colour from what they have now. We are looking for individuals who are open to cut and colour (not only a trim). We are looking for people who are open to an edgy cut and creative colour in this role. We are looking for men who are open to an edgy cut and colour and willing to stand out in the crowd representing the best of the best! We are looking for professional dancers for a show coming up at Hair Expo! Males-must be gym fit and got a great body. No height requirement for this role. We're Looking for Musicians Who Can Sing and Rap.